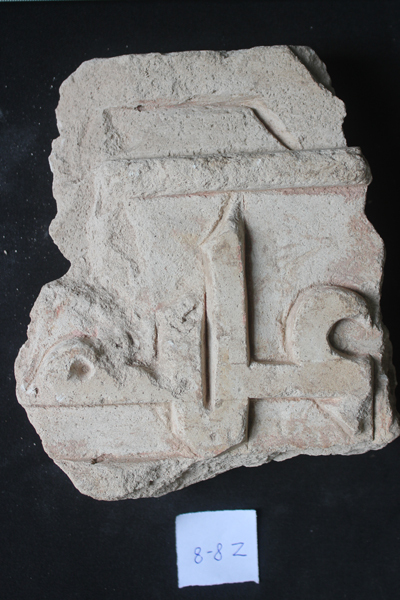 Ongoing efforts to conserve the dome of the Al-Imam Al-Shafie mosque in Old Cairo have uncovered sections of an intact lower wall forming part of an earlier shrine this week. The previous shrine consisted of an open courtyard with three prayer niches attached to a domed hall. 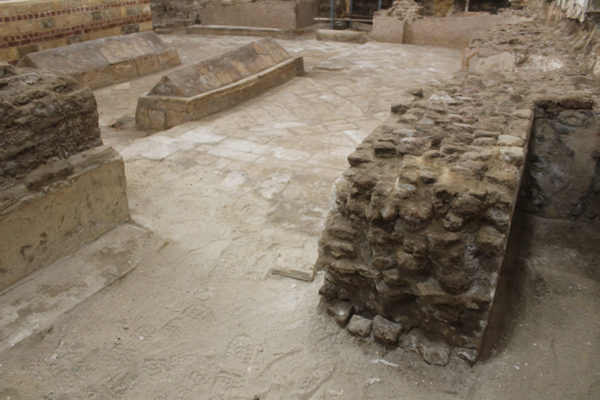 Also uncovered were decorated carved stucco features, coloured marble, stone flooring and fragments of a masonry dome. Egypt's Minister of Antiquities Khaled el-Anany and the US Charge d’Affaires in Cairo Thomas H. Goldberger, along with top officials from the Egyptian ministry, embarked on Monday on a tour to inspect the latest conservation work on the dome and the excavations of the earlier shrine. 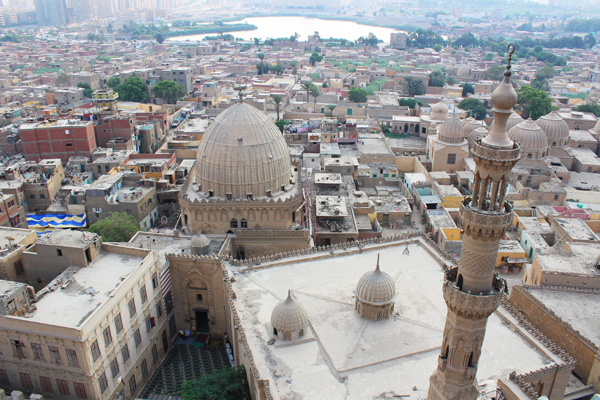 “This building pre-dates the current shrine of Al-Imam Al-Shafie, which was built by the Ayyubid Sultan Al-Kamil in the year 1211 AD and was built after Al-Imam Al-Shafie was buried there in 820 AD,” Mohamed Abdel Aziz, Director-General of Historic Cairo Rehabilitation Project told Ahram Online. 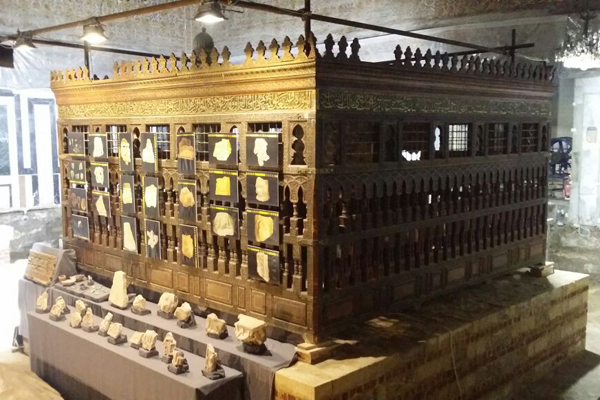 He added that the newly uncovered shrine is a significant addition to our understanding of the history of Islamic architecture and history in Egypt. 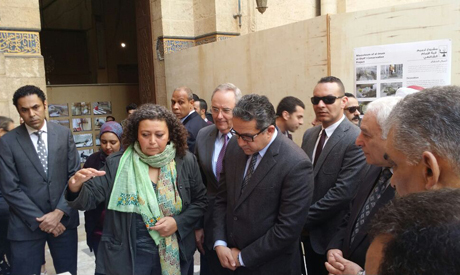 May Al-Ebrashi, Head of Athar Lina initiative, said that the excavations are part of a conservation project funded by the US Department of State’s Ambassador’s Fund for Cultural Preservation under the supervision of the Ministry of Antiquities. The excavations fall within the work of Athar Lina, a national initiative to conserve Egypt’s heritage for the benefit of the community. The project, she continued, began in March 2016 to resolve structural problems in the mosque's masonry walls and floors, as well as leaking roofs and the disintegration of decorative elements, most notably the decorated stucco exterior, carved and painted wood and coloured marble cladding. The completed work so far has included extensive documentation, as well as physical crack repair in masonry walls, soil infill to correct subsidence (the sinking of soil under a structure), repair and insulation of wooden roofs and ceilings, repair of marble cladding, and the cleaning and restoration of decorative stucco facets. Al-Imam Muhammad Ibn Idris Al-Shafie was the founder of the Shafie madhab, one of the four major jurisprudential schools of Sunni Islam. A proponent of rational thought who is credited by some today as the originator of the scientific method, Al-Shafie dedicated his life to developing a comprehensive theory of jurisprudence that earned him the title the "Sea of Knowledge." He was also a great poet who wrote simply yet eloquently about the value of travel, learning and contemplation. Historic sources mention that when he died, he was buried in the mausoleum of Ibn ‘Abd al-Hakam, an Arab tribe that came to Egypt with the Islamic conquest in the 7th century AD and settled there, becoming one of its most prominent families.